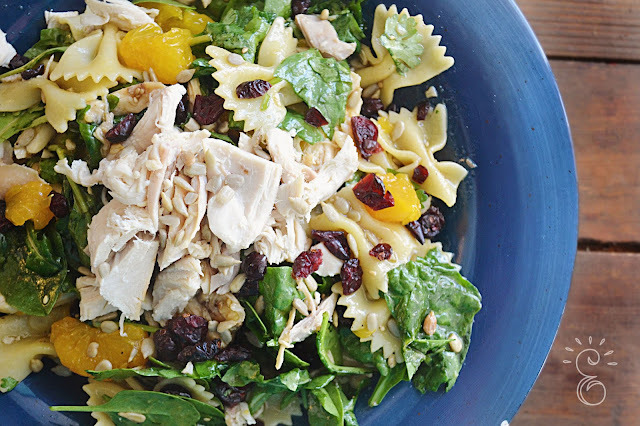 Made with ready made rotisserie chicken this pasta salad is a quick and hearty fix for lunch or dinner. This recipe took me a total of 15 minutes to make for my family and its one of those salads that are very filling. The best part is the homemade sweet asian inspired dressing that brings all the ingredients together. 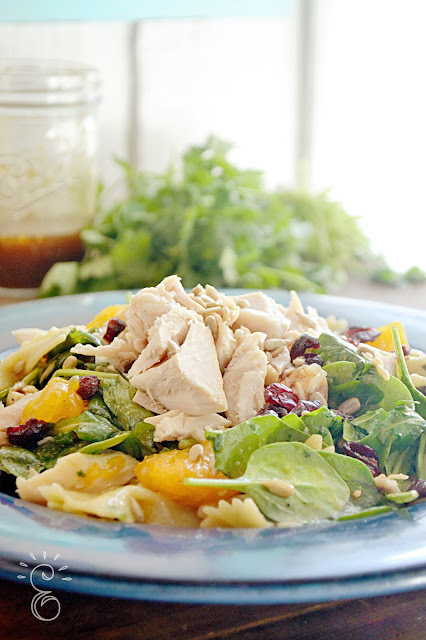 With ready made rotisserie chicken this pasta/spinach salad is a quick meal the is both hearty and filling the whole family will love. 1.Boil mini bow tie pasta as directed on package. 2. Chop ready made rotisserie chicken into bite size chunks. 3. 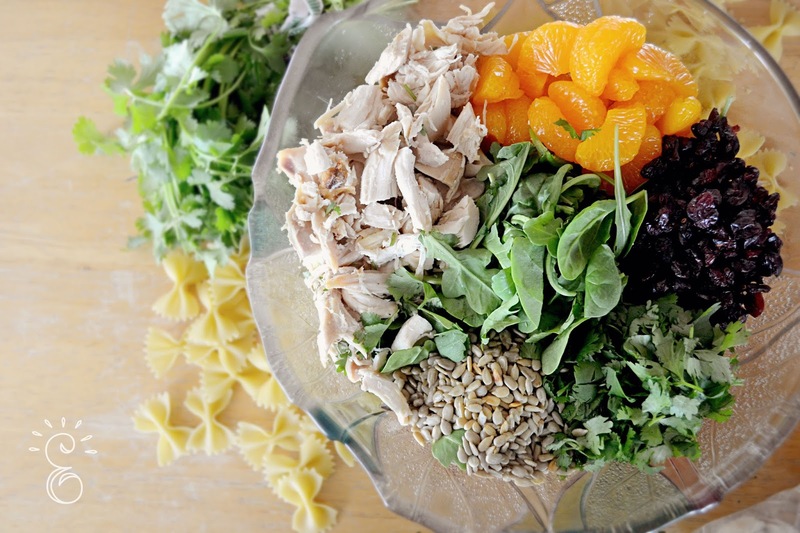 Mix ingredients together in large salad bowl. 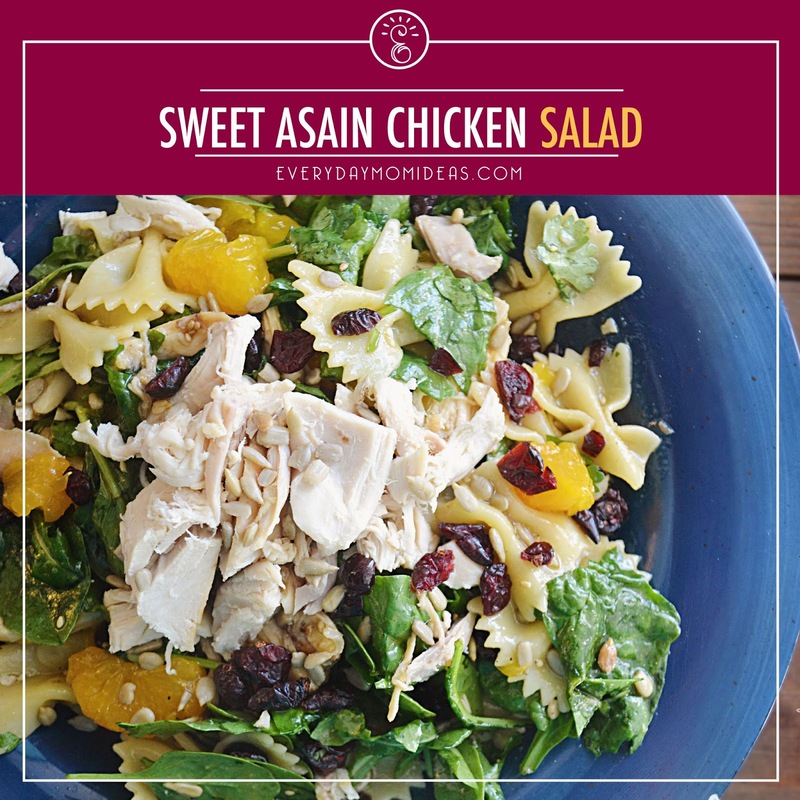 Pour homemade sweet asian dressing over salad right before serving. Mix all ingredients together. 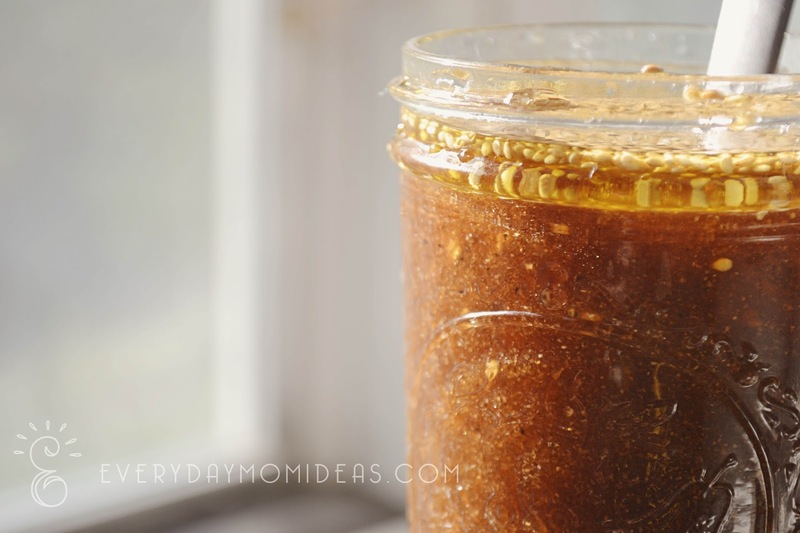 Let marinate up to 15 minutes to combine all the flavors. Stir again right before serving. TIP: Add chicken and salad dressing last to each plate to keep salad greens from wilting. And also to add a little extra presentation.